The Golden Rule 401(k) plan was designed specifically to alleviate these problems and to help you meet your retirement savings goals. With an affordable start-up cost and comparably low, annual record keeping fees, this unique plan gives you and your employees more options than ever before. The Golden Rule 401(k) plan has the added benefit of allowing you to offer benefits to your employees, giving you a leg up in the hiring and retention of employees. Golden Rule® 401(k) Plan. The plan was exclusively developed to support independent funeral homes and their employees. With low start-up investment and comparably low ongoing record keeping costs, this unique plan give you and your employees more options than ever before. Contact us to learn more about this unique benefit and how we can work together to help you and your employees plan for your future. A family owned and operated business since 1893, The Dodge Company is the world’s largest manufacturer and distributor of preparation room supplies. We carry a complete line of stationery, urns, urn vaults, and are a source for memorial products through our partners Glass Remembrance, Capture Bead Keepsakes and Dodge Portraits. Consolidated Funeral Services (CFS), Dodge’s technology partner, provides revenue-generating websites, development services and hosting, all while paying dividends to our 3500 website customers. Matthews® Aurora Funeral Solutions provides a full line of burial, cremation, and memorial products, along with innovative training, technology, and marketing solutions that help you serve families in new ways, including Matthews Aurora’s BeRemembered.com Program. 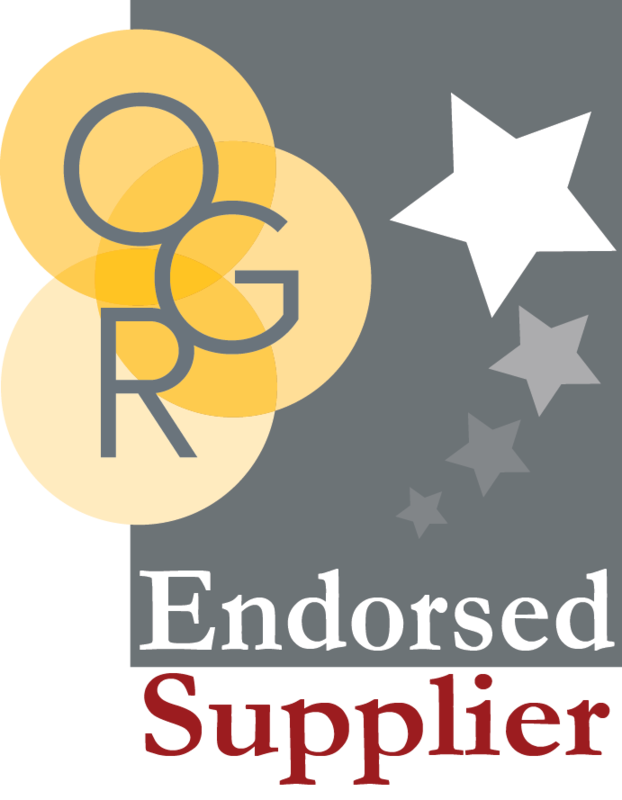 Matthews Aurora is committed to being the very best partner with OGR members. Ask your Matthews Aurora representative about our BeRemembered.com Preferred Partner Program for OGR member funeral homes. Call the answer team at (800) 457-1111. Skyways Media is a family owned business operating in the UK, Canada and the US. We are one of the only fully vertical print & digital media companies, We specialize in the design, print and supply of FREE funeral planning guides and pre-need apps.There is no cost to your funeral home at all for the services we provide. Independently owned, ABM Funding works with funeral directors to provide immediate cash and take the burden out of filing life insurance claims. By verifying and filing life insurance claims, ABM frees up time that can be spent serving families; not to mention providing your money within 24 hours of verifying the policy. When time is money, you can count on ABM! 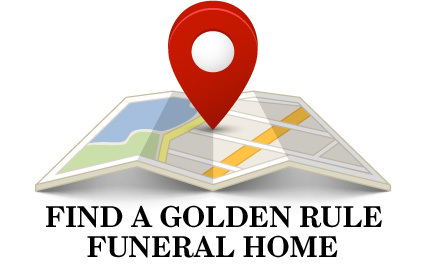 For nearly 30 years, Access Financial Group has managed the Golden Rule® Funeral Trust, providing pre-need trust accounting and investment advice. So, it is with great pleasure that we are offering OGR members the new Golden Rule® 401(k) Plan. The plan was exclusively developed to support independent funeral homes and their employees. With low start-up investment and comparably low ongoing record keeping costs, this unique plan give you and your employees more options than ever before. Regal Line Funeral Stationery products are one of the few items that remain in the hands of family and friends after the funeral service. It is also the family's connection back to you when your services are needed again. The exceptional quality of Regal Line Stationery products will assist you in building family loyalty toward your business. Since 1996, APPI Energy has served 3,300 customers and managed 5.5 billion in kWh. APPI Energy manages and reduces your energy expenses by navigating the maze of energy deregulation and negotiating favorable "real-time" pricing and contract terms and conditions. APPI Energy provides a process with minimal time commitment and no upfront costs from you. Energy procurement options are available in deregulated states only; check our website to see if your state qualifies. ACS is a distributor of funeral home, cremation and cemetery supplies and one of the largest manufacturers in the industry of Hill & Lawn Tents, grass, grave boards, rollers, stands and vault supplies. ACS leads in the development of affordable cremation set-ups. Distribution of casket-lowering devices, Dinaire Airbrush Makeup, Roberts & Downey Chapel Furniture, Ferno cots like the Mini-Maxx, lifts and sundries. The APASI Guaranteed Travel Assurance Plan (GTAP) offers enhanced benefits for the funeral home and client families in the event of a death occurring 100 miles away anywhere in the world from the family's legal residence. The online enrollment feature makes it easier than ever to enroll client families in the GTAP from your iPad or computer. Simply add this web link to your iPad or computer: https://travelassuranceplan.com/application.asp. Click here to learn how to do an online sale. Optional enrollment in LifeLock identify theft protection is also available. The APASI Travel Assurance Plan is not insurance, and no special licensing is required to sell the program. For a single, one-time payment of $385 for online or paper enrollment, APASI pays all costs to return the deceased to their legal residence, including air costs. The program can be sold to anyone; pre-arrangements are not required. 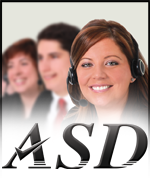 ASD – Answering Service for Directors has created a new class of answering service for funeral professionals by raising the bar with unparalleled levels of advanced training and technology. Family Owned and Operated, ASD has been helping funeral homes manage their calls and their lives since 1972. The company's custom-built communication systems and sophisticated mobile tools were designed solely to meet the needs of funeral homes. By offering funeral directors unmatched protection for their calls, ASD has redefined the role of an answering service for funeral homes. B & L Cremation Systems, Inc.
Family-owned and -operated just like you, B&L has been in business for more than 25 years. The largest independent manufacturer of "state of the art" cremation equipment for the human and pet industry in the world today. B&L is committed to providing superior products and services to the cremation industry. We offer cremation products at reasonable prices, saving our customers time and money, year after year, and constantly bringing new products to the industry through our dedicated team of R&D specialists who have changed how cremation is done today. Bass-Mollett has been supplying the funeral industry for over 60 years with customized solutions to funeral directors using custom stationery and supplies so that each family they serve may memorialize their loved one with dignity. With 4 generations of family ownership Bass-Mollett will continue to proudly serve the funeral industry for decades to come. Are you tired of the hassle, headache and cash flow delay in processing insurance death claims? Are you still waiting weeks or months for payment on your assignment cases? Why Wait? 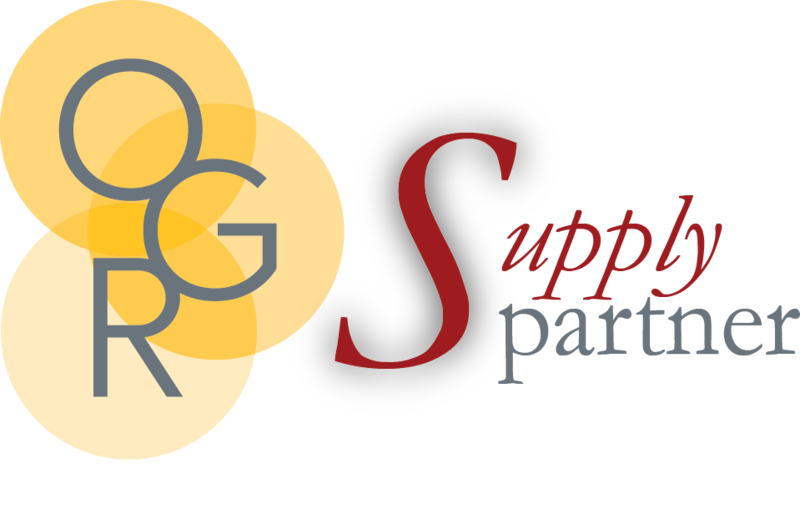 The endorsed OGR FAST FUNDING program is designed to pay you within 24 hours of verification on your insurance assignment cases. Church and Chapel Metal Arts Inc.
Family-owned and -operated since 1933, Church & Chapel offers a full line of furniture, supplies and equipment necessary for the delivery of funeral services. Personal attention is paramount at Church & Chapel, where the utmost attention is given to quality and detail. Many items are made-to-order and available in custom sizes, finishes and configurations. Prompt shipment from large inventory of cremation and funeral supplies. Davis-Whitehall's hardwood and cultured stone urns are handcrafted in America, with all wood selected for color and grain consistency. Davis-Whitehall is known for its customization, allowing families to create a one-of-a-kind memorial using photos, drawings, sketches and other personal images of loved ones, which are laser-engraved on to the urns. Davis-Whitehall operates under one of the highest standards of quality in the profession and provides superior customer service. Director On Call has become the preferred choice in Funeral Home Answering, gaining the trust of Funeral Professionals throughout North America. Backed by numerous awards, Director On Call holds the prestigious 2017 Diamond+ Award of Excellence for 18 consecutive years of outstanding service; (CAM-X), in addition to receiving the coveted ATSI Award since 2003! 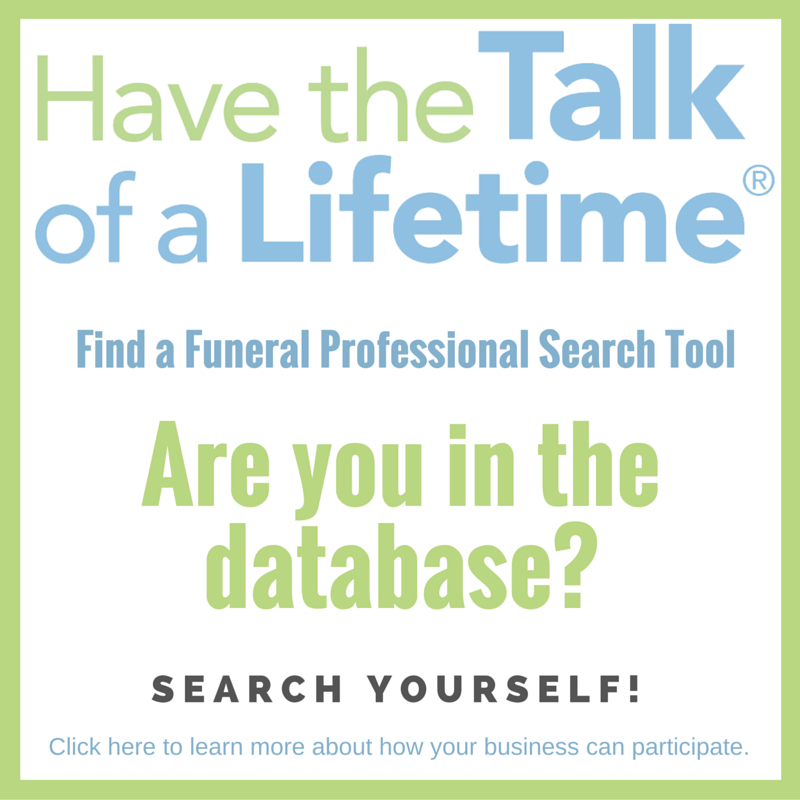 The most professional and caring Call Specialists in the profession- Your Funeral Home's reputation is on the line! Domanicare is aftercare for the digital age. We follow up with your families, on your behalf, for up to two years after a death through the most effective and personal way possible: a text message. Our text message aftercare program delivers a 98% open rate and a 45% response rate. Don’t let your message get left on the kitchen counter! Texts will come from your local area code and will personally address each family by name. In addition to nurturing your families, Domanicare boosts your online reviews and makes your funeral home easier to find online; increasing your at-need case volume. To find out more and to take advantage of special pricing for OGR members, text “OGR” to (801) 893-5733. Eagle Coach is a worldwide provider of custom-built funeral and specialty vehicles. As a Cadillac, GMC and Lincoln QVM builder, which now manufactures its own line of Cadillac six-door limousines (in Cincinnati), the company is dedicated to producing professional vehicles to a quality- and service-level that works exclusively through a dedicated, nationwide network of professional vehicle dealers. In business since 1986, The Embalmers' Supply Company (ESCO) has a long history of innovation and technology within the embalming industry and first in many chemicals that are in the market place. San Veino's, Hexaphene's and Porti-Boy machines. Federated specializes in accounting, tax preparation and planning, and full payroll service - a complete program to collect your accounts receivable, along with succession and estate planning. FFDA prepares the financial portion of your business plan - we call it your Management Analysis Report. We report the past and give you a guide for the future. Field consultants available in all states. Federated insurance provides business insurance protection to 1800+ funeral service providers across the US. Highly rated and financially secure, Federated Insurance offers specialized products and services designed specifically to protect your business. Our company is a holistic financial and management consulting firm specializing in the funeral and cemetery business. We provide an integrated level of services to help the business owner maximize their profit, minimize their risk, increase value and operate efficiently. We help clients with Pricing, Overhead Control, HR, Receivables Management, Pre-Need, Inventory Selection and Merchandising, Marketing, Technology, Accounting and Tax Planning. Our Appraisal, Financing, Family Business Succession, Merger and Acquisition services are without equal. Funeral Home Gifts is the premier supplier of heirloom quality woven Tribute Blankets to funeral homes throughout North America. At a delivered price of only $79.99 each, Funeral Home Gifts Tribute Blankets not only provide comfort to grieving family members, but also are a proven revenue producer through re-orders and pre-need sales opportunities. Additionally, Funeral Home Gifts Tribute Blankets provide vision to families initially requesting direct cremation to transition to higher value-added personalized memorial services. Industry leading software company that offers technology solutions for the funeral home profession. They offer a diverse selection of products and services including MiMS™, CiMS™, and our their new cutting edge web site solutions. Halo offers a wide selection of funeral products including urns, prayer cards, cremation jewelry and pet urns. Personalization is our specialty! Halo has three types of engraving options: Diamond Drag, Laser, and Dimensional Imaging (DI). DI is a new personalization option—to learn more about DI, please visit the Halo website at www.halointernationalproducts.com. Here at Halo, we are “passionate about compassion.” We will do our best to help you serve families and help them get through the most difficult time in their lives. At Heritage Memorial Funding, there are no hidden fees and no flashy and misleading “introductory” rates, just a one-time 4% flat funding fee for individual or group policies. Our program offers fast payment to the funeral home (within 24 hours of verification), with no out-of-pocket expense to the family and no cost to the funeral home. Heritage offers funding solutions to meet your individual needs and will gladly handle those “unusual” situations other funding companies are quick to reject. With increased concern in profitability due to consumer choices, cremation and succession planning, you need a trusted consultant to navigate through to success. Johnson Consulting Group is a Funeral Home and Cemetery Consulting firm specializing in Mergers and Acquisitions, Business Valuations, Bank Lending, Accounting Services, Business Performance Analysis, Business Performance Improvement, Customer Survey/Sales Analysis Program, and Incentive Compensation Programs. The highest quality promotional calendars at the lowest price sold exclusively to funeral homes and cemeteries are published by The Judith Roth Studio Collection. These upscale calendars have textured, high-gloss covers, full color on all pages and museum quality reproductions. Offered are a Non-denominational Calendar, Christian Calendar and Catholic Calendars. Personalized information at the center of all calendars is at absolutely no charge. There is an optional Pre-Need Reply Card to double your advertising power. Turnkey OSHA written program for funeral homes. Annual video training for Bloodborne Pathogens and the Needlestick Safety Act, Formaldehyde, Hazard Communications with GHS, and general industry training. Industry leader in the design and manufacturing of hardwood cremation urns. Providing Funeral Directors and their families a high level of personalization and customization for over 30 years. Offering hand-crafted personal memorials made the old-fashioned way, one at a time. Proudly, and always, made in the USA. Quality McNeill grave markers are available in a wide variety of styles. Contact Maureen Hayes at OGR, [email protected] for pricing and more information. Meadow Hill creates custom keepsake jewelry including Thumbies Fingerprint Keepsakes, Buddies Pet Keepsakes and the Phoenix Collection Cremation Keepsakes. We help families create, celebrate, and capture memories of the people important to them. All our keepsakes are made in the USA. For more information, visit www.meadowhillco.com. Proudly serving the funeral industry for over 100 years, Messenger is a leading manufacturer of funeral stationery products including memorial register books, service folders, acknowledgements, prayer cards, and laminated bookmarks. Monarch Resources is a premiere full service nationwide funeral home, mortuary and crematory supply and equipment distributor. With more than 2,500 products directly related to the funeral industry under one roof, we ship in-stock orders in 24 hours or less. Additionally, we sell promotional products and provide graphic design. Welcome guests at your door with a quality entrance mat displaying your firm's name and logo (or the Golden Ruler logo) in colors to match your decor. These top-of-the-line NOTRAX brand mats are available in many sizes and styles. You'll find several products lines to cover the floors of your kitchen, garage, hallways and prep rooms. They can even be snapped together for custom work stations. Superior's anti-fatigue mat with ergonomic benefits is ideal for the embalming room where comfort is a must. As the leading provider of environmentally-friendly and green funeral products, Passages International strives to offer innovative and valuable urns, caskets and memorial product choices for both people and pets. Passages provides urns for water and earth burial as well as for scattering. The eco-friendly, woven caskets are used for cremation or burial and available for adults, children, infants and pets. Passages, a family-owned and operated business, will help you increase your profits and compliment your current selection with green options for your family. SinoSource International is known as the industry's leading manufacturer of fine cloisonne urns. With more than 40 designs currently, SinoSource has something to offer every family looking for an artistic, durable, one-of-a-kind urn. In addition to full-size urns, each cloisonne design offers a complete set of accessories, including two keepsake sizes, a picture frame, a bud vase and a jewel dish. Skyways Media is a family-owned business operating in the UK, Canada, and the US. We are one of the only fully vertical print & digital media companies. We specialize in the design, print and supply of FREE funeral planning guides and pre-need apps.There is no cost to your funeral home at all for the services we provide. 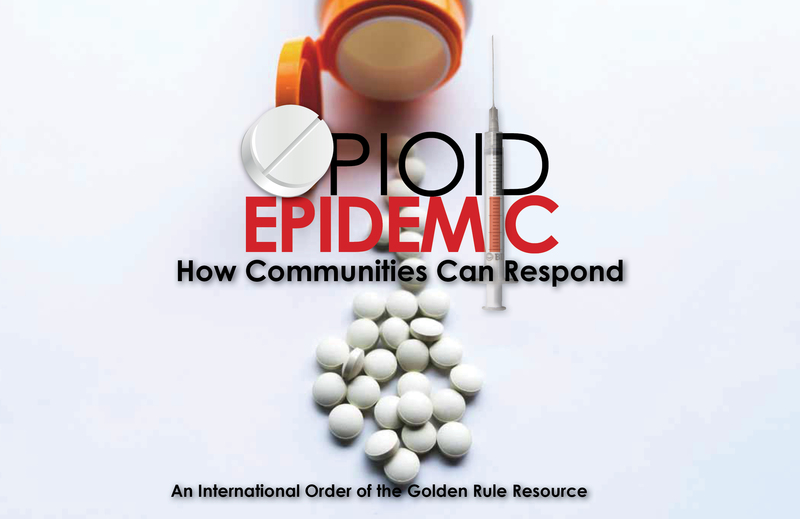 Access to the free guide is a benefit of being an OGR member. Watch the video below to learn more. 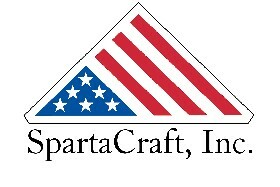 SpartaCraft's long history with the U.S. Dept. of Defense and thousands of funeral providers across the nation ensures the Veteran Flag Cases and Flag Case Urns we provide OGR members are the finest and most-requested memorials in the U.S.A. In addition to providing an American-made product to honor our country's heroes, past and present, the permanence and heirloom-quality of SpartaCraft memorials gives the funeral provider a source of referrals for future needs of the families you serve. Personalization is a key service we provide, so with one phone call or email to OGR Products & Services, you can order a custom-engraved plate an still ship the same day. Starmark manufactures cremation products including the original Elderlite® Corrugated Fiberboard Casket, rental casket inserts, economical cremation products in lightweight corrugated fiberboard and cloth covered products to meet the needs and wants of cremation client families. When families trust you with one of the most important decision of their lives, doesn’t it seem logical to serve them through to the very end? The departed’s monument is the perfect way to keep you in the family’s memory for generations to come! Tecstone’s Gold Seal Memorial Program has increased the number of funeral homes profiting from their turn-key solution. Our team understands and emphasizes the importance of first impressions, so ensuring your clothing is an extension of your business’s brand is crucial. This especially holds true for funeral directors, from onboarding a new client all the way through a funeral service. True Fitted by M. Kenny’s exists to help clients achieve a strong footprint. We are bespoke custom tailors that take pride in getting to know our clients and their personal style preferences. Each garment is constructed from reputable heritage mills and employ quality craftsmanship to help leave a lasting impression. Our tailors’ breadth of experience and dedication to client satisfaction has established True Fitted by M. Kenny’s as a premier provider of custom clothing and funeral uniforms for nearly 20 years. Unlike made-to-measure firms, we craft each piece of fabric to fit the unique needs and body types of each individual. United Laboratories offers a comprehensive product line with more than 400 products, a majority of which we manufacture. 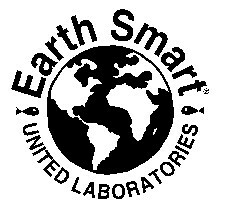 United made a commitment to go Green in 1992 with Earth Smart. Our parameters on Green are stricter than either the DFE (EPA) or Green Seal. Call to locate the local representative in your area. Vantage Products is well-known and respected for its high-quality burial vaults. In fact, Vantage has so much confidence in its products, it is able to carry a 75- to 100-year warranty. Vision Medical offers a wide variety of funeral home products. The line includes, but is not limited to, body bags, disaster pouches, plastic undergarments, protective apparel (gowns, lab coats, shoe covers, masks, etc. ), gloves, prep-room supplies, disinfectants, casket flags, flag covers, cremation urns and crematory supplies. Genius marketing that exclusively partners your funeral home with your local Fire/Police/EMS in efforts of saving lives! 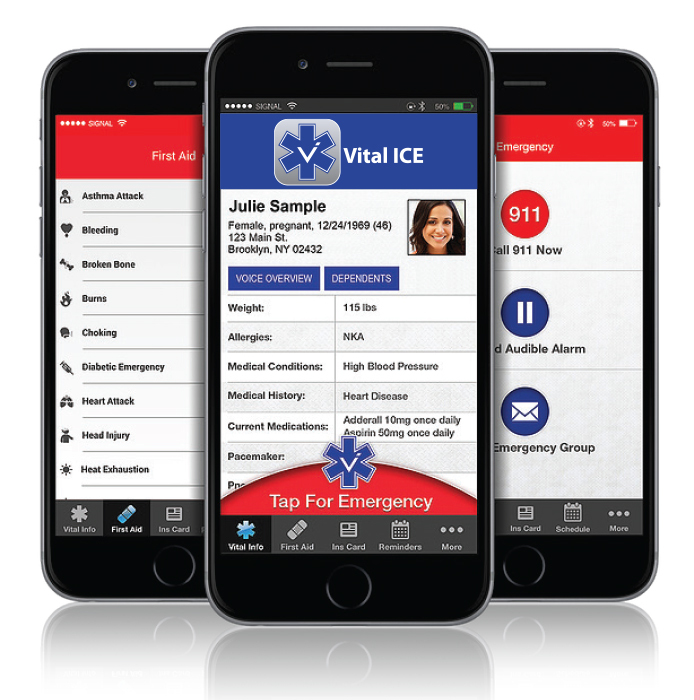 Vital ICE App is brought to the public FREE of charge and is HIPAA compliant. The Life Saving app is custom branded with sponsoring funeral home and links website for public to view obits and newsletter. The App stores medical history, current medications, allergies, ICE contacts and it most importantly provides the public their very own life alert system! Media attention for sponsor is abundant via newspaper, radio and T.V.! Vital ICE is cutting edge and exclusive to only 1 Funeral Home per trade area. Skyways Media is a family owned business operating in the UK, Canada and the US. We are one of the only fully vertical print & digital media companies, We specialise in the design, print and supply of FREE funeral planning guides and pre-need apps.There is no cost to your funeral home at all for the services we provide. The APASI Guaranteed Travel Assurance Plan (GTAP) offers enhanced benefits for the funeral home and client families in the event of a death occurring 100 miles away anywhere in the world from the family's legal residence. The online enrollment feature makes it easier than ever to enroll client families in the GTAP from your iPad or computer. Simply add this web link to your iPad or computer: Optional enrollment in LifeLock identify theft protection is also available. American Crematory Equipment Co. dedication and commitment to the funeral industry has allowed us to be known as one of the premier manufacturers of cremation equipment , repair, and customer service in North America today. We offer 24/7 support/service and we have always put our clients first when it comes to their cremation needs. Our support staff is conveniently located on both the East and West Coast of the United States. Our advancement to technology has allowed us to provide extremely efficient equipment for both the human and the pet industry and these units are reasonably priced. Since 1929, Hydrol Chemical Co. Inc. has been recognized as a leader in embalming chemistry, creating many patented chemicals such as tissue builder, B-4 pre-injection and others. We offer time-tested products, dependable and rapid service, and total customer care and support. Hydrol makes a point of providing courteous, efficient personal service and is one of the few companies where you can get free shipping on its fluid products. Established in 1928, Lockwoven is the leading manufacturer of burial garments. The company is family-owned and operated by Tom Beaman, grandson of the founder. Lockwoven offers a variety of burial garments including shirts, suits, dresses and gowns, handkerchiefs and undergarments..
Meadow Hill creates custom keepsake jewelry including Thumbies Fingerprint Keepsakes, Buddies Pet Keepsakes and the Phoenix Collection Cremation Keepsakes. We help families create, celebrate, and capture memories of the people important to them. All our keepsakes are made in the USA.